Tiny Sports Info App and No Banner Ads! Free sports information App for Android based phones and tablets, including Kindle Fires, Samsung etc. I make and provide this App for free. 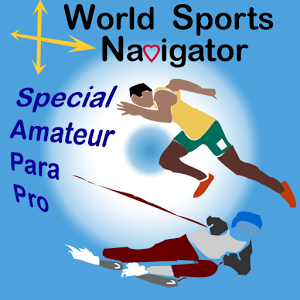 It will link you to sports information of all kinds including for the Olympic games but also for Special Olympics and Paralympics and even local kids sports of many kinds. If your phone memory is pressed for space, I have also left this App simple enough to keep it low memory. Its a relatively small App file. I have made sure that my App has NO POP UP Ads and NO BANNER Ads. If you would like to see a menu item added for a sports information website, you can always comment here or email me with your suggestion. Remember, make Love, Sports, and not war. A Professor and vision scientist at Oakland University. Read in OU News online. Summer Undergraduate Research in labs funded by the National Eye Institute / National Institutes of Health, the Vision Research ROPARD Foundation, and OU's Center for Biomedical Research. Last solar charge on the Round-the-World for @solarimpulse before the expected landing at 22:00UTC. I have followed this team and aircraft for many months as one of the community sponsors of a solar cell on its port wing. Cell #3668. You can monitor the final linking flight here..
Its time to be good to the land, water and air if not for us, then for our Children's Children. It has to be done with our generation now. The free ap to follow all sports information is still free and still free of pop up ads.